Q: How can Lancelot be narrating when he is dead? Q: How does the film differ from the traditional Arthurian myth? Q: What is the battle depicted in the opening montage? In recent movies coming out of Hollywood there seems to be a trend towards attempting to unveil the true character behind some of history's most mysterious individuals. With most of us having been brought up on tales of a medieval King Arthur and the magic of Camelot, it was a risk for those who initiated this movie to attempt to expose the man behind the myth, so to speak. In my opinion, through a combination of realistic battle scenes, stunning cinematography and well rounded characters this movie is successful. This tale takes us on a journey with King Arthur's knights as they embark on a final quest for Rome. The issue of religious persecution is raised on numerous occasions in the duration of this movie and relates to contemporary circumstances where religious belief can be used as a form of power and means of superiority. Themes such as this raise the film above the average Bruckheimer production. However, the dialogue is still cliché in places, and mid-battle jokes can fall flat on audiences that have grown weary of them in films such as LORD OF THE RINGS and PIRATES OF THE CARIBBEAN. Fortunately, the battle scenes are realistic and don't bombard us with Jackie Chan like maneuvers that the knights have suddenly and inexplicably learned. The movie is beautifully shot with a variety of landscapes ranging from Hadrian's Wall to icy snow-covered hills and peasant villages. This ensures that the audience always has something new to look at, but also paints a realistic picture of the poverty and harsh environment of the time. My only complaint about this film would have to be that some of the acting and characterisation was a little disappointing. 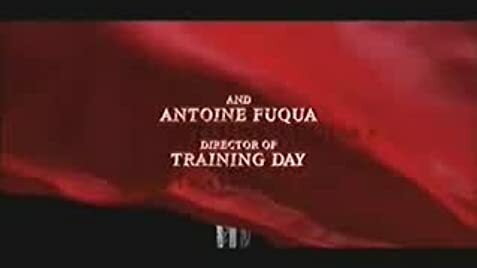 Clive Owen's 'Arthur' was a little internalised and predictable. While other characters, such as Lancelot (Ioan Gruffud), are fabulously flawed, Arthur is always thinking of others and making the right decisions. His humanity never falters. Owen delivers his lines woodenly and without the passion one wishes to see from such a great warrior and humanitarian. 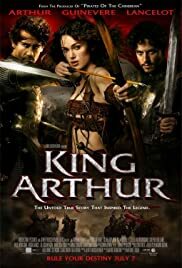 Whilst the writers have dared to put a different spin on the characters of Lancelot and Guinevere (Keira Knightly), they seem to have stuck with the Arthur of legend. Knightly's performance was certainly nothing special. Her role in the movie was unclear as she seemed to only be there to run around in skimpy outfits, although I'm sure the intention was to create a strong female character. I thought her survival in battle was unrealistic as she was much smaller and weaker than the thousands of large trained warriors she was fighting, particularly since she had apparently nearly starved to death after being walled up in a tomb for her Pagan beliefs. Although Knightly is beautiful, her performances in movies thus far have yet to convince me of her acting abilities. Overall, I thought this movie was unique in that it depicted a time not often portrayed in modern cinema. It had strong themes with a good mix of humour, romance and action. Although the film had its flaws, I would definitely recommend it as I believe it would appeal to a wide audience. 137 of 219 people found this review helpful. Was this review helpful to you?